Be the Punny magician at your next show. 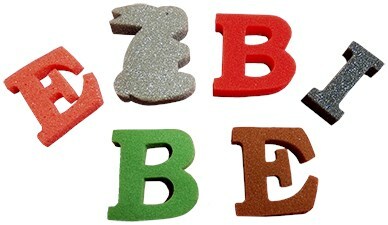 Alpha-Bits sponge letters add a fun (pun) addition to close up or stage routines. The letters are 2-inches tall and the perfect thickness to stand up to use. The colors are colorfast in the foam so you can use the different colors along with other sponge ball routines without fear of the dye bleeding over on lighter colored balls. Comes with the A to Z of punny jokes.